Colombo, Sri Lanka -- It was Einstein who stated if the Honey Bee disappeared from the surface of the earth then man would have four years of life left. “ No More Bees, No more Pollination, No more Plants, No more Animals, No More Man”. Therefore the fall of the Bee population in America, Latin America and Europe should concern every Human being. It is said that one third of the food eaten in America is depended on the pollination by bees worth Billions of Dollars. The Bees unfortunately are victims of a man made disaster geared by money economics. Man how ever does not understand that in an interdependent environment that destroying any life has a natural consequence and that is the destruction of the whole environment including that of man. This of course is the reason for the doctrine of Ahimsa. Bee’s today, Humans tomorrow. Will consumption economics destroy man the way it is destroying the bees. The causes of the collapsing colonies are not confined to bee’s it is universal and the whole of the animal kingdom is subjected to it. It is again Einstein who said that there are only two things that are infinite. The Universe and mans stupidity. This disorder is characterised by the worker bees leaving the hive never to return to die elsewhere. The remaining bees in the hive are enormously diseased They have a tremendous pathogen load. The Bee population in the USA has been reduced by 30% with in two years. Billions of dollars has been lost due to reduced agricultural production. Although no one single cause has been found the following are suspected. Destroying the natural habitat and replacing it with mono cultural agricultural plantations reduces the bee from getting the necessary nutrition. 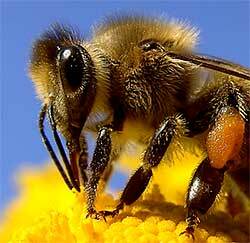 The bee gets its nutrients by eating different pollen from different plants which helps it to get a balanced diet. Genetically modified plants possibly gives it pollen of poor quality but also has toxic substances it produces to destroy pests. Immuno deficiencies akin to AIDs in humans are created by pesticides and insecticides and general environmental pollutants that expose the bees to various viral and fungal infections to which they succumb. The social disruption and the medical problems are not confined only to the bees. An economic system that has been sold by creative accounting in which one rationalise only the parts you wish to rationalise has caused immense problems for humanity. The human response to the present economic system is no different to the bees. As much as the workers are moving from the hive to die elsewhere so are the poor moving in hoards to cities. Urbanisation of humanity whilst there habitat is being destroyed in the name of development. Rural economies with the auspices of the IMF and World Bank are run down and urbanisation encouraged. For instance in Sri Lanka 50% of the GDP is spent on the western province ( Greater Colombo) one of nine provinces. The expansion of humanity in this region has not been reciprocated with the needs of the community. How ever advocates of this policy argues that the high density creates a vibrancy a critical mass of people who animates the city enjoying each others company and sustains public transport and businesses. Another creative account. What it does not address are the disruption of the extended family system and its natural consequences of stress and mental disease, increased incidence of divorce and single parentage and there future social consequences. In the UK 1 in 5 people suffer from mental disease at one time or the other and have an incidence of about 40% - 60% single parentage. The public services are stretched to such a degree that violence, drug addiction s are rampant in the cities. The pollution affects the immunological system causing epidemics of chronic lung disease such as asthma and increased incidence of malignancies. Sexually transmitted diseases due the high density living is also increased and so are epidemics of flu etc. The most concerning factor is that the pollution is causing reduced sperm counts. This associated with late marriage due to social reasons and sexually transmitted disease is increasing the risks of infertility. To cater to the nutritional needs of the high density populace vast rural areas are opened out for modern agriculture and new dams built. This further disrupts rural communities resulting in the movement of the displaced rural people to the cities. The resulting deforestations increase global warming and changes in weather patterns. The new agricultural mechanisms of genetic modifications have the potential of increasing the incidences of allergy and affecting other animals who sustain the environment. The new farming technique produces meat products that have an increased fat content. The resulting obesity increases the risk of Heart Disease and Cancers. Globalisation and catering to foreign markets makes the damage to the ecology worse. Oblivious to us Human health is been damaged similar to the Bee’s. The question is will humanity follow the Bee’s and have an entity called “collapsing colonies of Humans”? The indications are that there is already collapsing colonies in the rural areas but will the cities follow. There is a fundamental difference between the western policies of development and the eastern Buddhist/Hindu/Confucius views of development. Western concepts of development which we in Asia follow led by the post Macauley ruling classes emphasise materialism as the best indicator of development where as the Asian development had a humanistic & moralistic approach. It was interesting that in a recent interview on Chinese television whilst discussing the Trillions of Dollars Chinese reserve fund has, the presenter made the comment "But this is at the expense of Pollution that we have to Endure" It is this pollution and the social disruption that the creative accountants ignore. The western economic system that has imposed it self on the rest of the world through globalisation has a lot to answer. President Castro of Cuba put it aptly when globalisation first started by saying it is the sauce they are going to eat the rest of the world. In the late 19th and early 20th century when Japan was at cross roads whether to look towards the west and imitate them or look towards Asia that both Rabindranath Tagore the Indian Nationalist and Sun Yat Sen the Chinese nationalist appealed to the Japanese to deviate from the philosophy of rule of the might of the west to the rule of the right of Asia. It was the Humanism and the morality of the Indic/Confucian philosophy that led to a peaceful Asia that they yearned for. At the time India and china accounted for 50% of the world GDP. It is ironic that it is India and China who have the power to change the system that is destroying the Earth and has the ability to prevent collapsing colonies of Humans. 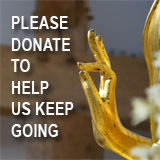 Buddhism emphasises that compassion is god and Harmony is the ultimate. It is this harmony that can achieve sustainable development. Economists are least qualified to address the question of development as they use money as proxy and creative accounting as its justification. 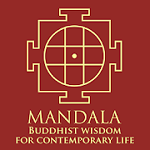 Buddhist economics encompasses "Small Is Beautiful" "Less Is More" as Against the western economic system which advocates "Bigger is better" "More is More" . In short sustainable economy can only be achieved when jobs go to the people not people going to the jobs.